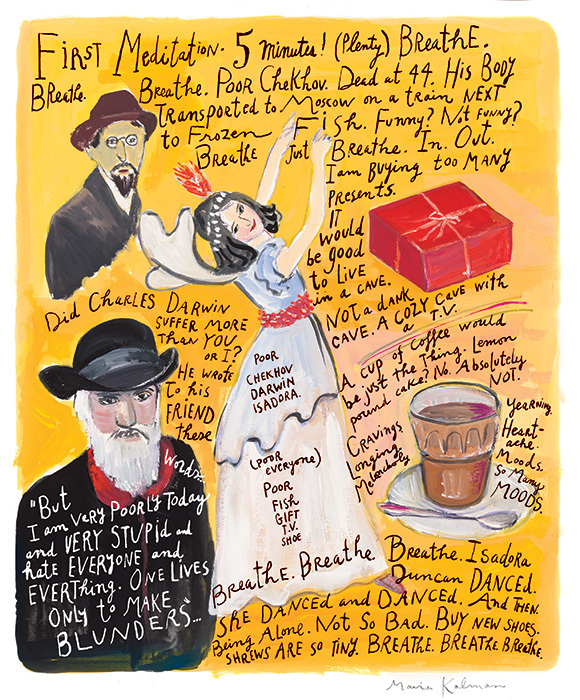 Take a look at Maira Kalman’s visual poetry for a light hearted and honest description of what it feels like to start practicing mindful meditation. In her delightful and self reflective illustration, Kalman brings you with her as she struggles to sit still and quiet her mind for five minutes, reminding herself repetitively to breathe, just breathe. Initiation: Therapy begins with your decision to seek help from a therapist, you might have make a phone call, send an email or text,..you’ve already visited this web site! Discovery: The first few sessions we will be getting to know each other. I will be guiding this in part by asking questions about what is going on in your life, how you understand your challenges and your family history. You are figuring out whether you feel comfortable with how we are beginning to work together.